But perhaps the earliest evidence of dentistry has been found in an archaeological excavation near Lucca in northern Italy. According to an article in the July/August 2017 issue of Archaeology, two human teeth dating to about 13,000 years ago, showed signs of manipulation by hand tools, resulting in the extraction of the diseased pulp in each tooth. These front teeth were then filled with a mixture of bitumen, vegetable fibers and hair, comprising in a kind of root canal procedure during the Ice Age! The earliest writing regarding toothaches took place about 5,000 years ago in Mesopotamia. Etched on cuneiform tablets, the Sumerians wrote of demons and tooth worms causing tooth decay. People would pray to gods such as Shamash, Anu or Ea to cure them of their painful oral afflictions. Then about 2250 B.C.E. (before the Common Era), physicians began treating toothaches with something other than invocations to some god or another. A mixture of henbane and beeswax was heated by a hot iron, and then the smoke directed to the decayed tooth. The cavity was then treated with a cement of powdered henbane seed and gum mastic. The first dentists appeared in Egypt about 2600 B.C.E. (about the time the Pyramids were built), and one of the best was named Hesi-Re, considered the "chief toother." However, there's no evidence that these dentists did anything more than treat toothaches and oral lesions. The Chinese of about 5,000 years ago treated toothaches with substances such as arsenic, which typically killed the pain and perhaps the patient as well. Acupuncture was also used for tooth problems; 26 body sites were designated for relief of toothache. As for the much revered ancient Greeks (Hippocrates, Aesculapius and Aristotle, et al. ), they believed that all disease, including tooth decay, was caused by an imbalance of the four bodily fluids or humors. This was how bleeding began as a treatment, and it continued to be used in dentistry until the early years of the twentieth century! The first dental bridges were produced by the Etruscans, who flourished between 1000 and 400 B.C.E in what is now Italy. They connected rings of gold with natural teeth, and the bridges found in mouths around the planet today are descendants of these prostheses. The Romans, conquerors of the Etruscans, invented gold crowns, methods for securing loose teeth and created artificial replacements made of bone, wood and ivory. Moreover, by the first century C.E. many Roman physicians specialized in dentistry, particularly extractions. A common Roman treatment for toothache was gargling with a mouthful of urine - one's own or that of someone else, presumably. And during the first half of the first century C.E. the first cavity was reportedly filled by one Aulus Cornelius Celsus, who used a mixture of lint and lead pressed into the depression with forceps. By 659 C.E. the Chinese were filling cavities with a mixture of silver, tin and mercury, or amalgam, as dentists call it, about 1,000 years before Western dentists began using it. In the Middle Ages, dentistry seemed to have regressed somewhat, particularly in Europe. The prevailing theory of this time was that tooth decay was caused by tooth worms, and there were various ways of defeating these little devils, or so people thought. Blood-letting was a common treatment, as well as leeching, blistering of the skin, administering laxatives, placing garlic cloves in the ear or destroying the dental nerve by using a red-hot iron or strong acid. 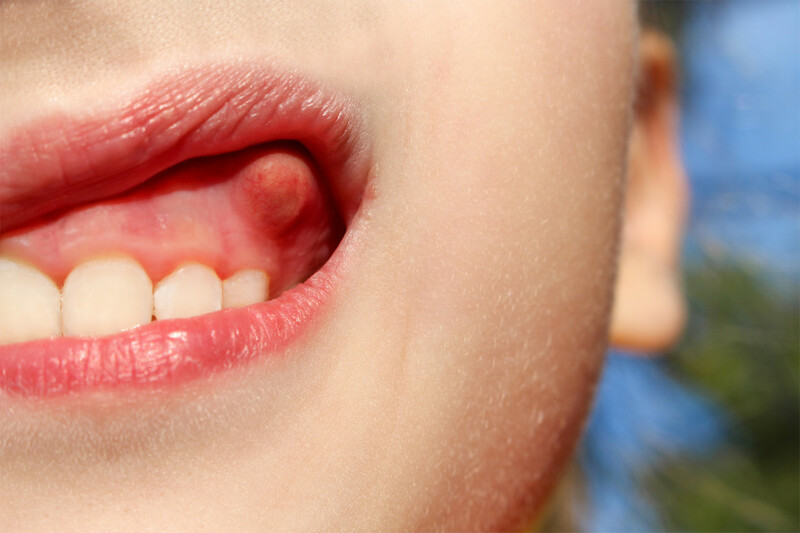 Interestingly, in medieval England, teeth were removed as a form of punishment. In England during the middle 1600s, thousands of deaths were attributed to botched dental procedures, mainly because of infections resulting from unsanitary conditions. Also, many people lost their teeth because of scurvy, a deficiency of vitamin C.
In addition to scurvy ravaging people’s teeth, many people began consuming large quantities of processed sugar, which caused an exponential increase in tooth decay. Reacting to such matters, William Shakespeare often mentioned dental pains and foul breath in his various plays. In Italy of the 1400s, a physician named Giovanni d’Arcoli began filling teeth with gold leaf, admirably progressive for the time, but he also advocated cautery, bloodletting and laxatives as toothache remedies. In 1530, Medicine for the Teeth by Anonymous was the first book dedicated entirely to dentistry. Written in German, rather than Latin, it was widely used as a training manual for many years to come. In the 1700s, John Hunter of England began transplanting human teeth. Hunter would pay people for their healthy teeth and then implant them in the mouths of his patients. 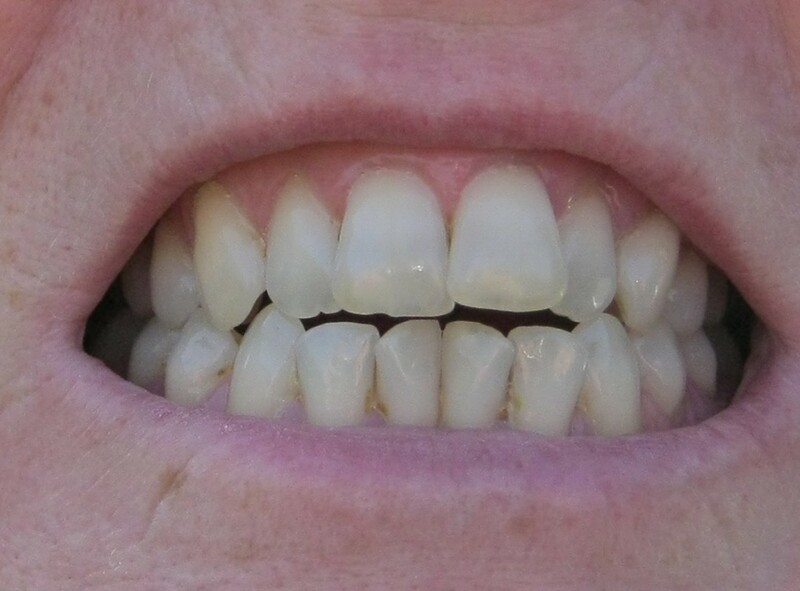 These implanted teeth would be tied to adjoining teeth until they stabilized. However, they rarely lasted for longer than a few months. In the American colonies of the middle 1700s, many dentists implanted dentures and bridges. Patriot Paul Revere was one such dentist. Revere was the first dentist to identify a corpse using postmortem dental forensics. John Greenwood worked on George Washington’s teeth, which tormented the poor man his entire adult life, though he never had wooden teeth; they were made of hippo ivory. Moreover, during the American Revolution, scavengers would rob graves for teeth to be used as dentures. Dentistry began to take its modern form in 1728 when Frenchman, Pierre Fauchard, published his book The Surgeon Dentist, a comprehensive work whose use eventually crowned Fauchard as the father of modern dentistry. In England during the middle 1800s, anybody could become a dentist without any training whatsoever, though some people paid as much as $1,000 to learn the trade. The first root canals were performed in the United States in the 1830s. Arsenic was used to devitalize the pulp or root, which was then scooped out, all of this done without anesthetic. In 1773, nitrous oxide (a.k.a. 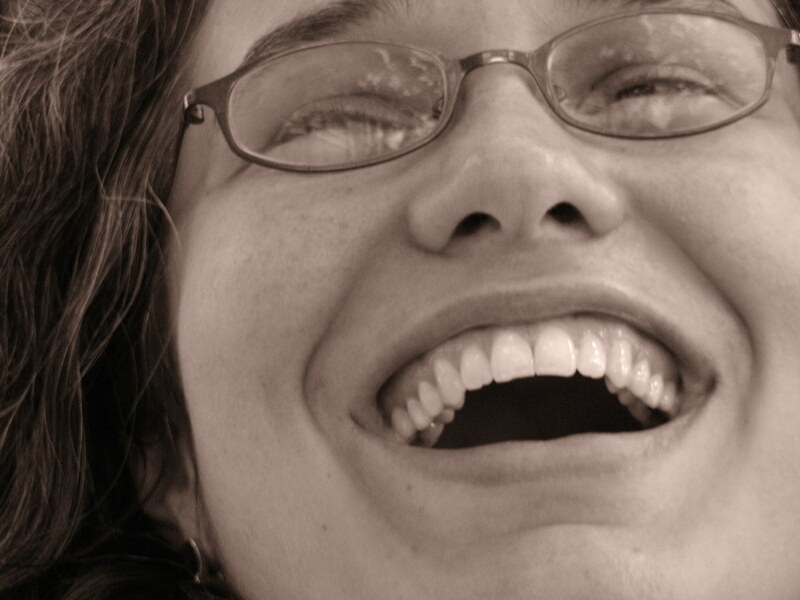 laughing gas) was discovered by chemist Joseph Priestly, but it wasn’t used as an anesthetic until 1844. About the same time, ether was also used as an anesthetic in dentistry. Then chloroform drew people’s attention, first used as an anesthetic in 1847. In the Western dentistry of the time, early amalgam fillings contained a mixture of silver and mercury. By itself mercury is quite toxic. If it doesn’t bind completely with the silver, leakage can occur, harming the patient. And these fillings were poured at a temperature of over 200 degrees, certainly very hot when applied to the exposed nerves in one’s teeth! In America in the late 1800s, itinerant dentist Edgar “Painless” Parker made a show of extracting teeth and, in England, William Hartley, a.k.a. Sequah, could extract as many as eight teeth per minute! The first set of porcelain dentures were produced in France in 1788. 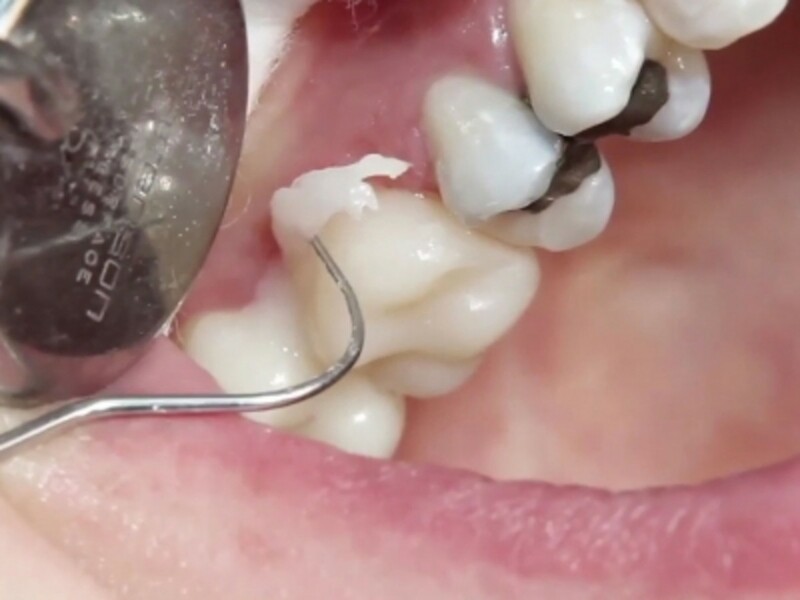 These were the first successful artificial teeth produced from inorganic matter. In the middle 1800s, cheap Vulcanite rubber was used for dentures. And acrylic resins became widely used when rubber became scarce during World War Two. Dentists began using cocaine as a local anesthetic in the late 1800s. Then it was replaced by Novocain in 1905. About the same time, people began using toothbrushes and toothpaste. In 1895, Wilhelm Roentgen discovered X rays (or ultraviolet rays), revolutionizing science and medicine. 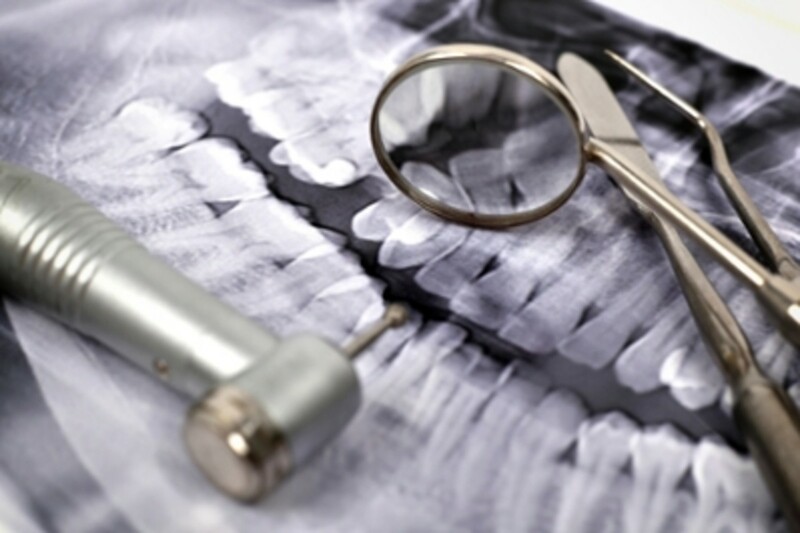 Just a year later the first radiographs of teeth were made. Tragically though, many people were harmed by the use of X rays until precautions such as shielding became standard. 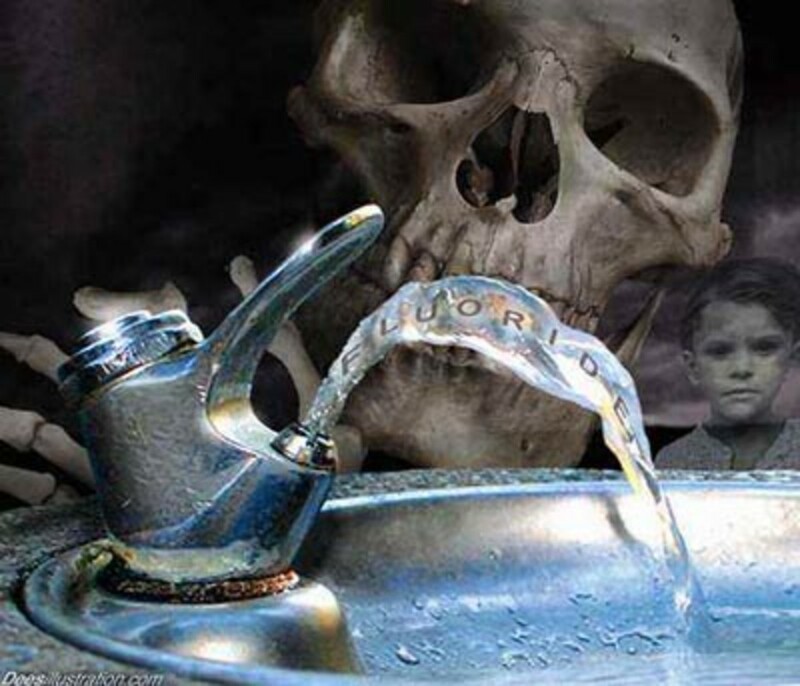 Around 1900, fluoride, an actual component in tooth enamel, began being used to fight tooth decay in the United States, and now most of the water in this country’s water supply is fluoridated. Some people think fluoridation may have long-term health effects, though this has never been proven. However, using “too much” has been blamed for staining teeth brown. In 1906, Charles Land was credited for developing the first porcelain jacket crowns. In the early decades of the 1900s, teeth whitening became the rage. 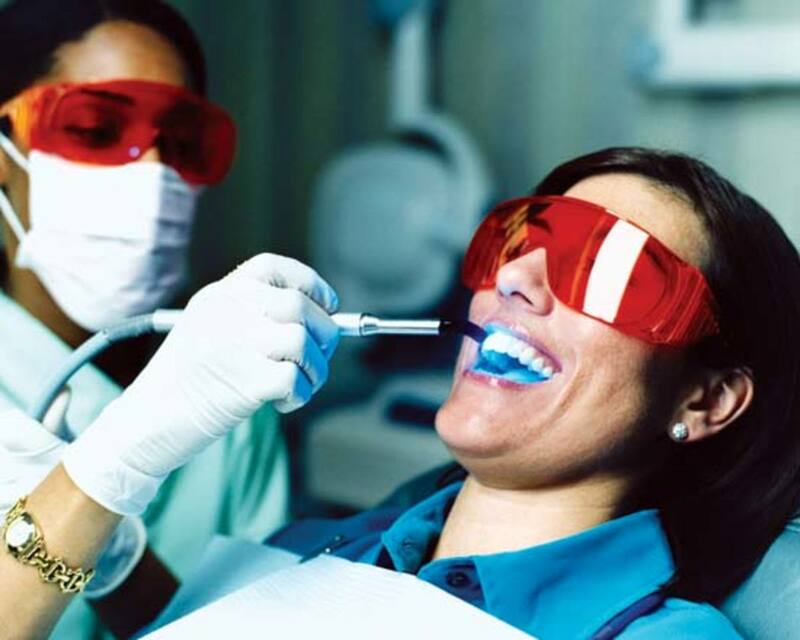 Unfortunately, many of these applications either didn’t work or were harmful to teeth. In the early 1930s, a whitening agent called Tartaroff contained hydrochloric acid, which indeed whitened the teeth but also destroyed tooth enamel in the process. 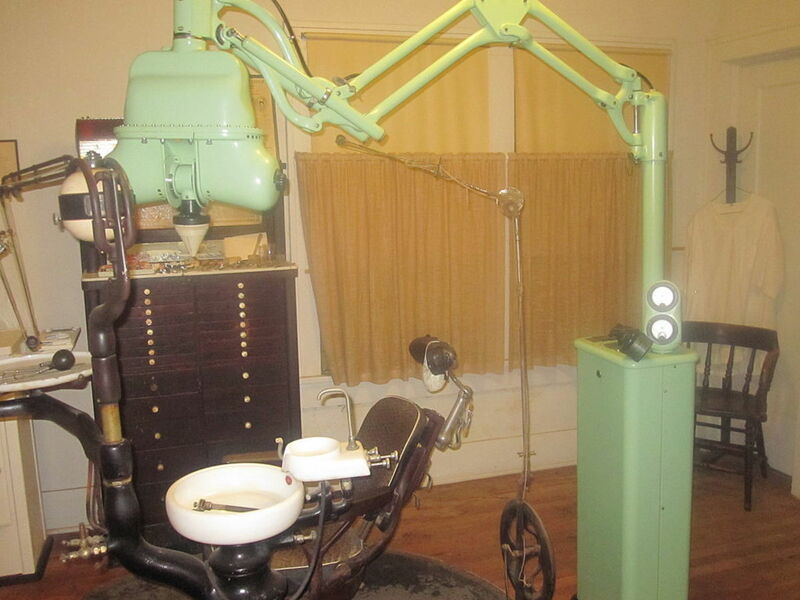 The first electrically driven dentist drill was produced in 1870. And then in the 1950s the first ultra speed drills came into production, working at upwards of 400,000 rpm. 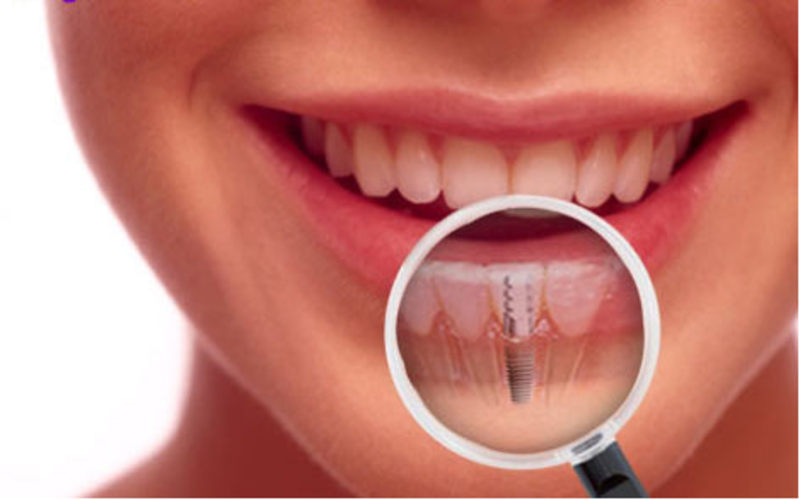 These days, some dentists use laser drills, which provide much greater precision and therefore help prevent degradation of the teeth being repaired. fill teeth rather than gold or amalgam, whose use is much more obvious and not as esthetically pleasing, though the metallic material tends to cost less and lasts longer. Well, the history of dentistry continues to evolve as we speak. Perhaps one day genetic manipulation or the application of some miracle formula will eliminate tooth decay altogether. But until that time, though the physical pain may not be as great as in the olden days, the pain in one’s wallet, so to speak, will nevertheless continue for the foreseeable future. Sources used for this article were the book, The Excruciating History of Dentistry by James Wynbrandt, The Microsoft Encarta Encyclopedia 2000, Nature magazine, volume 440, April 6, 2006, as well as the website for the American Dental Association and WebMD. It is amazing to hear about the history of dentistry. I am glad to see how much the medical field advances over the years. Dental health is a very important topic to my family and I. Hey, valerie valdez, some people have small teeth that are prone to decay. I've known people with such terrible teeth. Maybe King Ludwig had them. Later! I was just wondering how King Ludwig II of Bavaria's, teeth rotted so fast and why he did not get them pulled..were there do dentist there at that time? Thanks for the comment, thedentists. Dental history actually is interesting, as is all history, of course. Later! I really enjoyed this well-researched hub on dentistry. All I can say is luckily we are living in the 21st century! Thanks for the compliment, visionandfocus! I had lots of fun writing this informative article. I'm really up for dentistry. Isn't everyone? Later! I had no idea Paul Revere was a dentist, let alone the pioneer of forensic dentistry. Really interesting article. Awesome and voted up! Hey, Seeker7, I'm not sure the Romans washed clothes with urine, but they probably tanned leather with it. Urine contains ammonia, which is used to clean some things, so maybe they did clean clothes with it. Thanks for the compliment. Later! Great Hub even although I hate going to the dentist. I shouldn't complain because my dentist is actually very good and compared to what went on in the past, we have nothing to whinge about. I was really interested about the Romans gargling with urine. These guys seemed to have used urine a lot. Didn't they also use it to wash clothes? Anyway, fascinating hub, really enjoyed reading it. Good read, it's interesting to learn the history of something I wouldn't have thought to research myself. I wish I could afford my bi-yearly checkup. I may have to visit a dental college, hoping it really is free, and then I'll write about the experience. Later! I agree that we're fortunate that dental technology has advanced to a great degree. Unfortunately, costs, particularly in America, have gone through the roof. 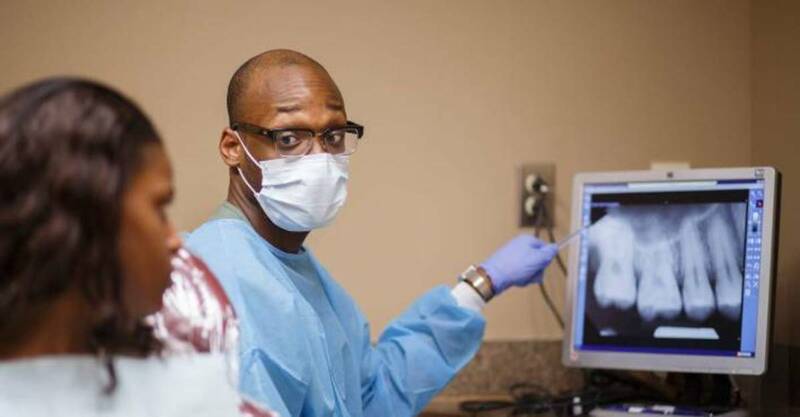 American dentists charge way too much for what one gets in return. Later! Dentistry has come a long way, I think we can all agree on that. I don't think that many of today's patients would be very excited about stepping back into history to experience dental work. Thank goodness for technology. Love the pictures - never knew GW had false teeth. Love the pictures, it's amazing to see where technology was and where it is today! 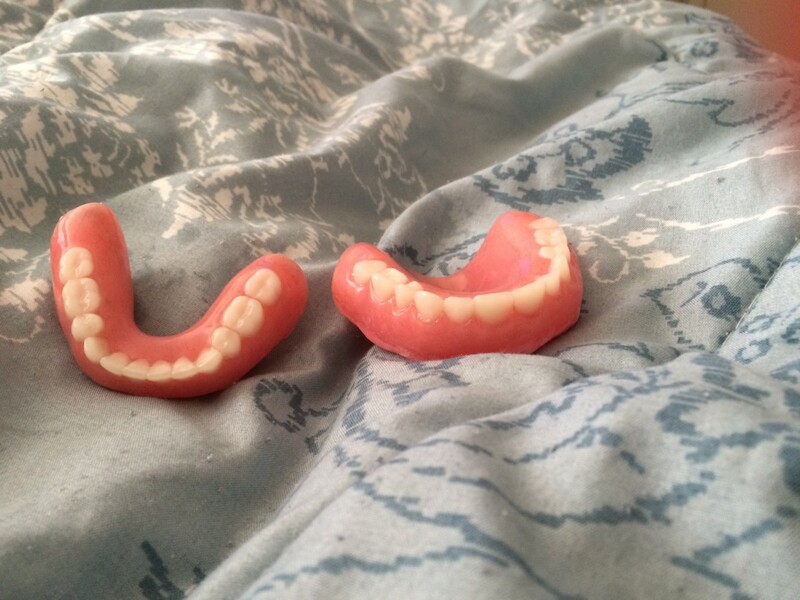 Wow.. that first set of dentures looks ghastly! A nice piece of research, well organized and written with a flowing style. 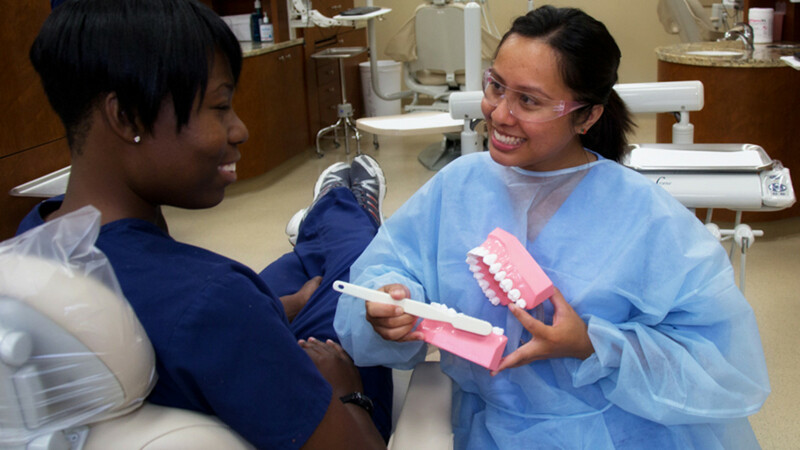 What prompted your interest in dentistry? I'm eager to read more of your writing.